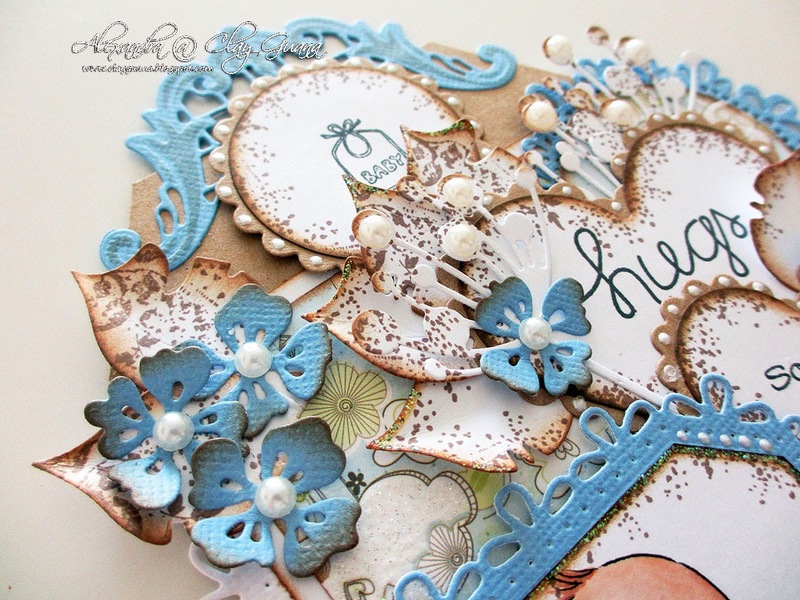 Today I'm sharing a tag with Mo's digital stamp - Spit Happens. Isn't this baby the funniest of all? This is such a cute image Alexandra. 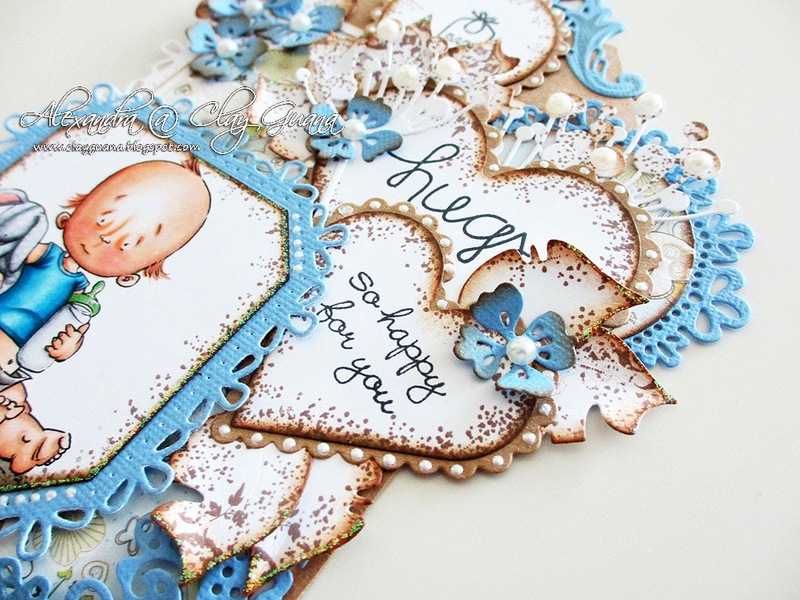 All the die cuts you've used in this tag complement each other perfectly, simply gorgeous. Have a great week! Hi Alexandra, this baby really made me smile. Wonderful layout and gorgeous details, love the dies and perfect colouring. This tag is so gorgeous, so love this colour combo and you used it ina the best possible way! Such a cutie Alexandra and I love the layout. Such a beautiful shade of blue and stunning embellies. Gorgeous tag, I love it and the way you laid it out is beautiful! super cute all. Elena F.